Island Roads to carry out work they’re contracted to do newsflash! 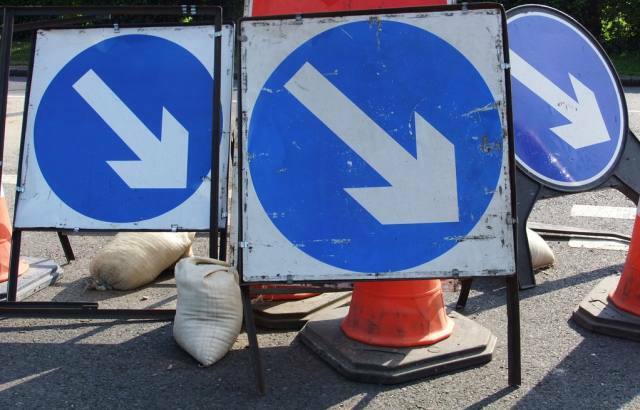 Three busy stretches of road in the East Wight are shortly to be upgraded say Island Roads. Eddington Road in Nettlestone, Marlborough Road in Ryde and Rowborough Lane in Brading will all be resurfaced under the ongoing highways PFI. In the cases of Marlborough Road and Rowborough Lane, the resurfacing work will be completed overnight between the hours of 8pm and 4am to reduce disruption on what are parts of the Island’s main road network. At Rowborough Lane, a stretch of approximately 800 metres between Coach Lane and Carpenters Road will be improved over an estimated seven nights starting in early October. The diversion route southbound will be via Ashey and northbound via Bembridge. At Marlborough Road, the length between the Appley Road Roundabout and Bullen Cross will be improved over eight nights beginning in mid to late October. The diversion route is via Great Preston Road. At Eddington Road a section of just under a kilometre between Caws Avenue and Upper Green Road will be resurfaced. This will mean the whole route between Nettlestone and St Helens will have been upgraded by the PFI. This work is scheduled to take place over six days – between 8am and 4pm – starting in mid to late October. The diversion route is via Nettlestone Hill, Pondwell Hill, Appley Road, Marlborough Road and Carpenters Road, St Helens. The highways improvement programme is subject to change due to issues such as inclement weather and further details of the work will appear on information boards erected at each site. Local residents will also receive letters advising them of the work. Preparation work may also be undertaken at these sites before the actual resurfacing begins. 2 Comments on "Island Roads to target busy roads in East Wight"
I don’t understand how Island Roads are awarding priority There are several roads in a much worse state of repair than the ones listed (Sandown High Street is just one example). Do they not have a Highways Inspector to identify the worst problem areas. I realise that ALL of our roads need tackling but, as I say, which are priority and why?